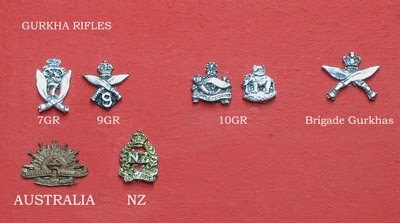 CAPBADGES AND OTHER INSIGNIA : WW2 . Cast by me in pewter. All items £1 each. Postage at cost, mostly just the price of an ordinary letter , since they are very light . 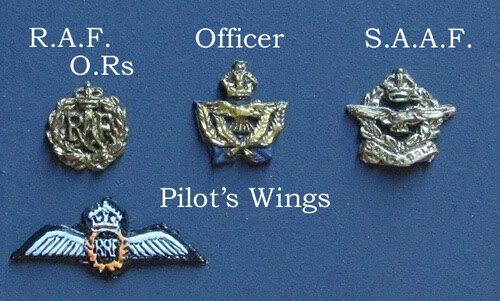 Brass or gold-coloured items will require painting. 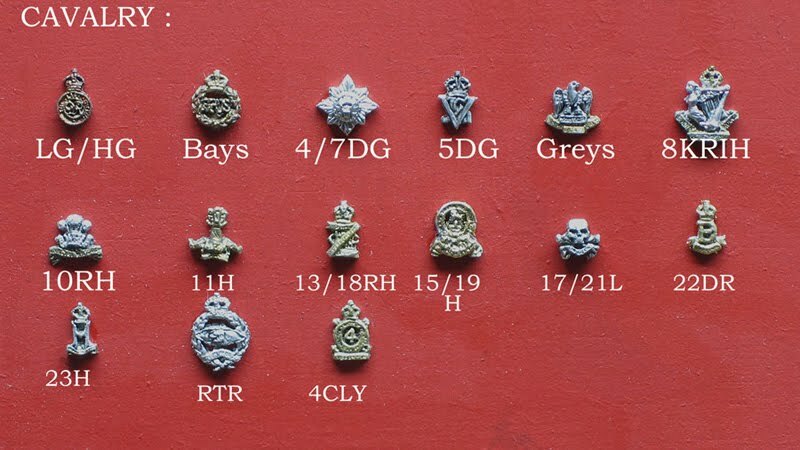 The range of Capbadges covers all the WW2 British Line Infantry Regiments, and the Cavalry and Yeomanry and Territorial Regiments are gradually being completed. Additions will appear here as I produce them. If in doubt , ask : I probably have it ! E-mail me . 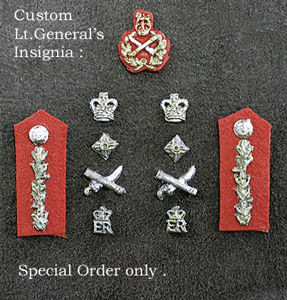 I am gradually adding to this Canadian range as requests come in. 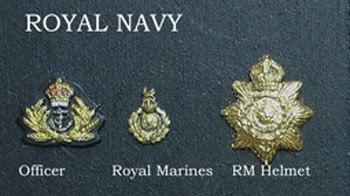 Any badge you might want can be made when requested, then added to the range . 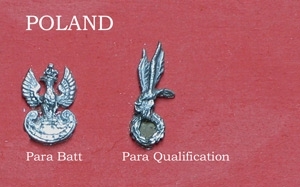 I charge a small fee for making a new badge , normally £6 for the master , then £1 each for each casting. 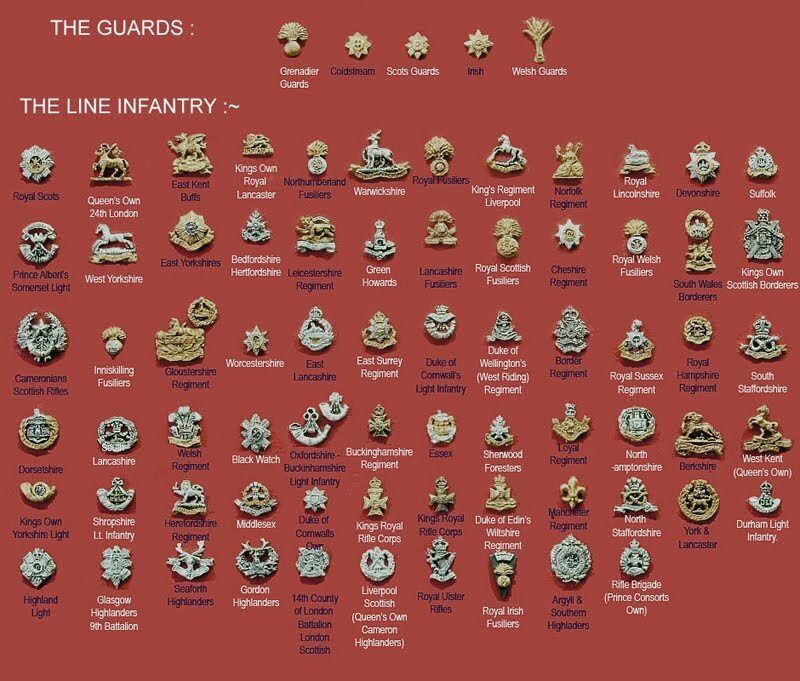 the elements in the design (Lances and arrows are a particular problem) so I reserve the right to say no. 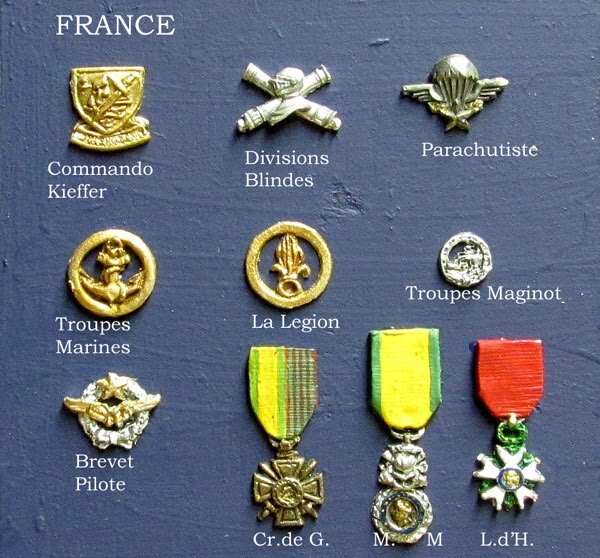 I do not undertake Axis badges : they are already all available commercially . 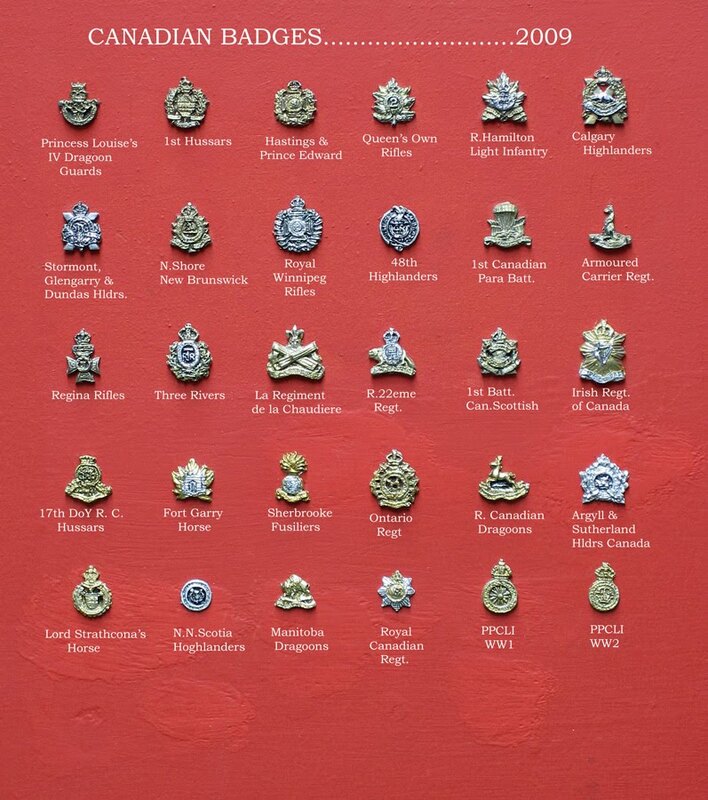 Modern British badges : these tend to change rather fast because of all the amalgamations. 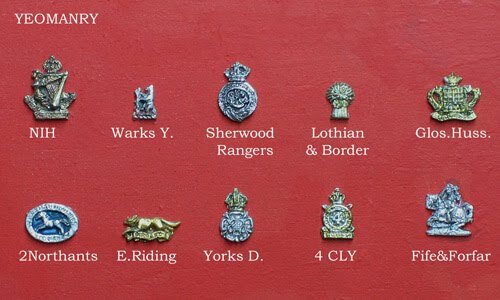 I also have a small range of Napoleonic and Victorian badges , largely made for my own figures. These have been finished by leafing them with Faber "Easy Metal " , see the bottom of the page. 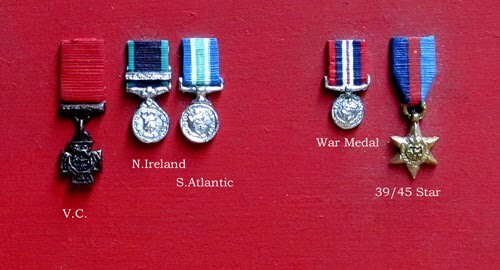 MEDALS : I have often been asked for these , so have finally given in ! Supplied unpainted £1 each . These are £2 per pair of Titles . 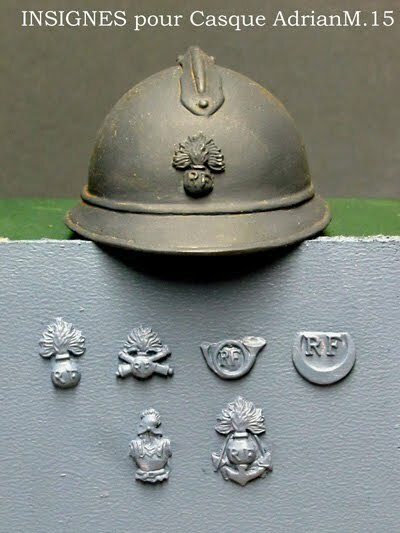 The Territorial Battalion Number designators ( at the top ) enlarge the possible number of units greatly. 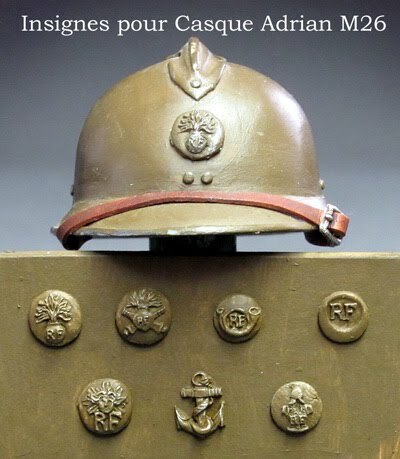 Finishing: Most badges are slightly too thick to make them easier to cast, and will have a casting flan on the back: lay face down on a rubber-jawed vice and file flat. I recommend either the Humbrol Metallics or the Vallejo acrylic metallics, particularly Bronze No.998. An alternative for highly-polished items is to cover them with metal leaf: the Faber "Easy Metal" can be got from any Art Shop: clean the badge with spirit, then follow the instructions for applying the leaf. Burnish in place with a stiff dry brush. 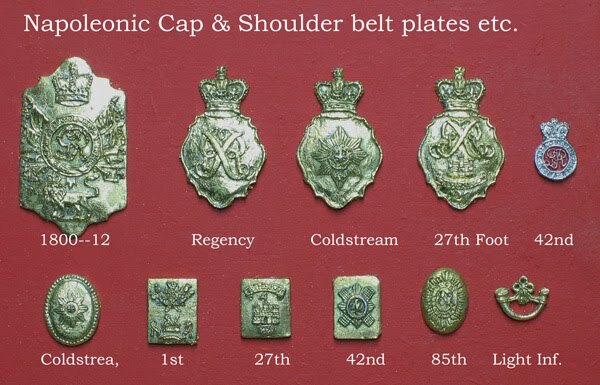 The Napoleonic items above are finished with this leaf : it's a very good finish for polished items . Cyano glue, or contact glue like Bostik, are best for securing them to your figure.